Learn more about Michael Shermer’s book, The Moral Arc: How Science and Reason Lead Humanity toward Truth, Justice, and Freedom on the official website. In this previously unpublished, unedited talk recorded at TED 2014 All-Stars, Skeptic Michael Shermer argues that science and reason have bent the moral arc of society towards justice and freedom. Thanks to scientific discovery, myopic ideas and laws are being thrown out in favor of comprehensive legislation. Could this be the onset of major changes? 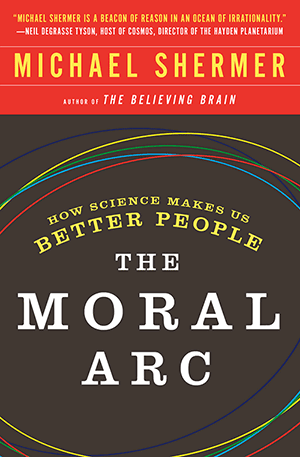 This talk is based on Michael Shermer’s book The Moral Arc: How Science Makes Us Better People. Learn more about the book at moralarc.org. Michael Shermer commemorates, with his own personal reading, the 150th anniversary of U.S. President Abraham Lincoln’s Gettysburg Address — one of the most memorable speeches in America history, which Lincoln delivered on November 19, 1863.